Spring Is Here! | Santé Food.Wine.Spirits. With the forsythia making a splashy show in addition to blooming tulips, hyacinths and daises, I can’t think of a better way to celebrate spring than with a festive bottle of rosé wine. Several months ago I had the pleasure of spending an afternoon with Riccardo and Alessandro Pasqua of Pasqua Vigneti é Cantine located in Verona, Italy. 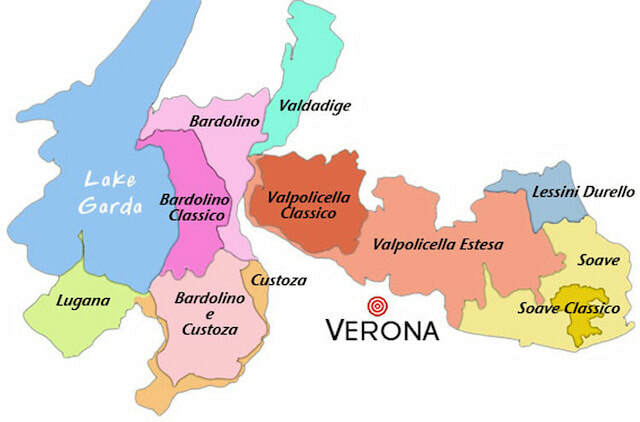 If you didn't read my story about the “Two Brothers of Verona” and their expressive wines from my post dated 2/11/2019, please do so! You'll learn about the winery, its history, region and wines! 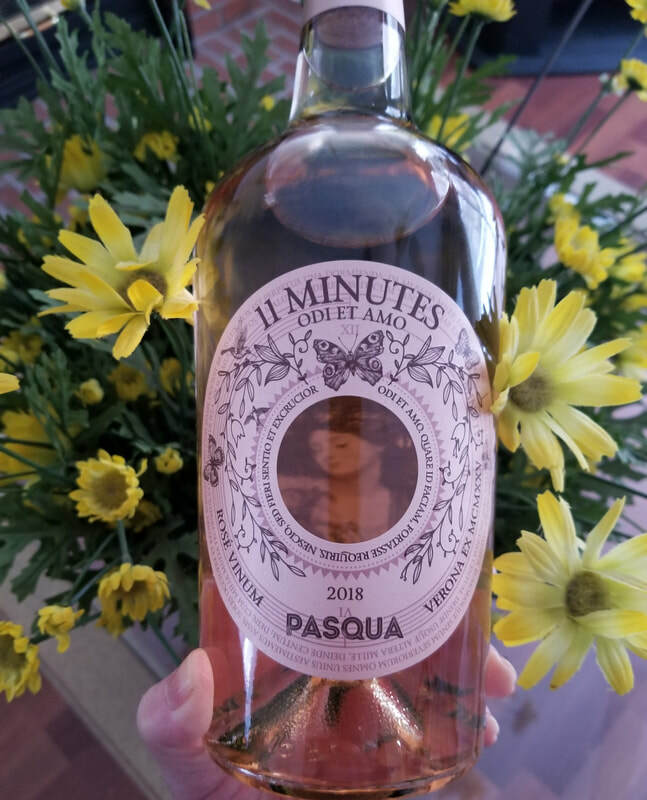 My focus today is on Pasqua 11 Minutes Rosé, a beautiful wine to help kick off the spring season. First of all, the bottle is exquisite. The unusual oval shape and an alluring photo of Lesbia draws one’s attention to this bottle of wine, tempting us to partake in its pale pink salmon liquid. Lesbia was the mistress of Catullus, a Roman poet (born in Verona) who dedicated his most famous poem to her, “Odi et Amo” (I hate and I love). The Pasqua family once again takes their passion for wine and combines it with romance and history as seen in their Romeo & Juliet Passione e Sentimento wines. 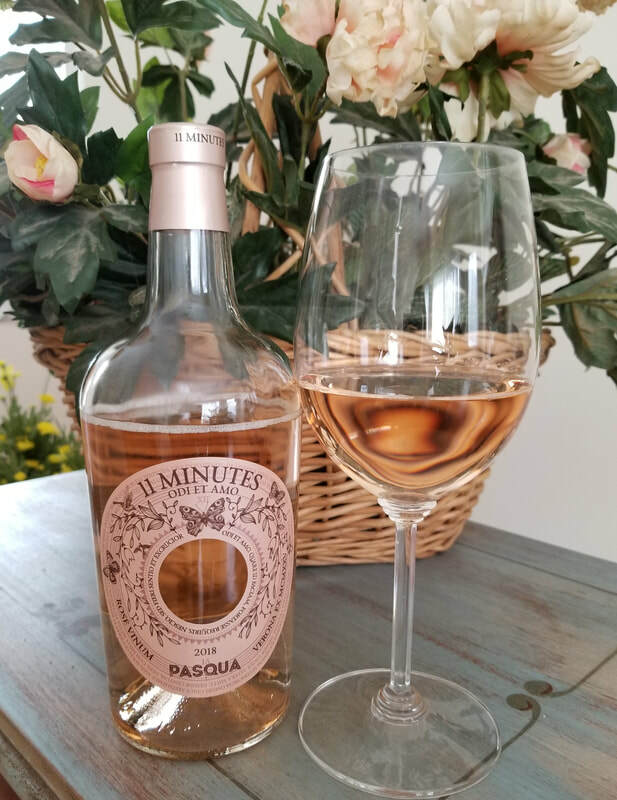 Pasqua 11 Minutes Rosé Trevenezie IGT 2018 is a masterful blend of Northern Italian and International grapes which are harvested from vineyards on the eastern and southern shores of Lake Garda of the Veneto region. The blend of this rosé is 50% Corvina, 15% Syrah, 25% Trebbiano di Lugana and 10% Carmenere. And why is it called “11 minutes” rosé? After harvest, the grapes are gently pressed and with only 11 minutes of skin contact the most noteworthy qualities of the grapes are extracted and the color is obtained. 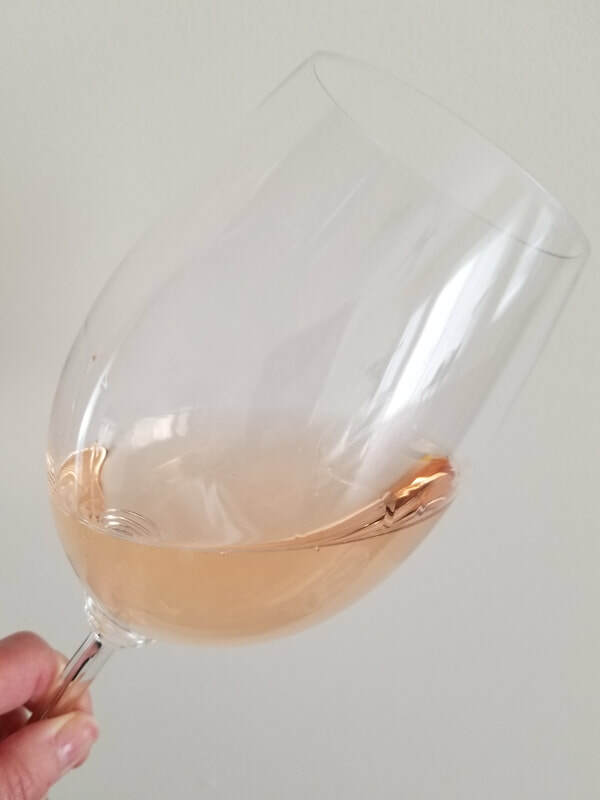 Thanks to the Corvina grapes, this rosé has a powerful floral aroma with delicate notes of strawberry, raspberry, sweet spice and ruby red grapefruit. The palate is rich with strawberry, red berries, hints of pear and traces of nuttiness on the finish. Racy acidity is balanced with a smooth texture. This fresh rosé is definitely a winner whether sipping as an aperitif or pairing with light food. Yum! This is a wonderful wine to drink all year round, but take advantage of the warm weather and bring it along on picnics and savor every sip while enjoying a sunset!